The Songshan Cultural and Creative Park (SSCC; Chinese: 松山文創園區; pinyin: Sōngshān Wénchuàng Yuánqū) is a multifunctional park in Xinyi District, Taipei, Taiwan. The park was initially constructed in 1937 as a tobacco factory under the name Songshan Tobacco Plant of the Monopoly Bureau of the Taiwan Governor's Office under the Japanese government. 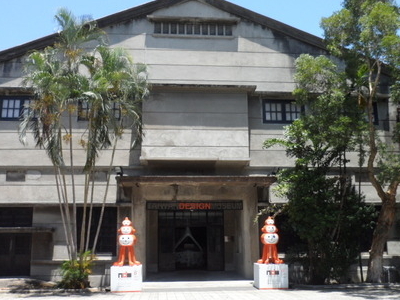 After the handover of Taiwan to China in 1945, the Taiwan Provincial Monopoly Bureau took over the factory and renamed it as the Songshan Tobacco Plant of the Taiwan Provincial Monopoly Bureau. 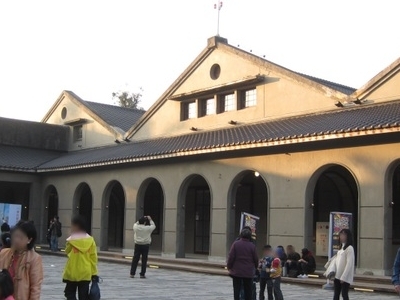 In 1947, the plant was renamed again as Songshan Tobacco Plant of the Taiwan Tobacco and Wine Bureau. The factory ceased to produce cigarettes in 1998 for concern over urban planning, tobacco and liquor marketing regulatory changes and the decline in tobacco demand. Here's the our members favorite photos of "City Parks near Xinyi". 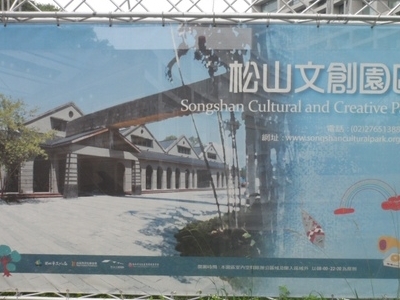 Upload your photo of Songshan Cultural and Creative Park!